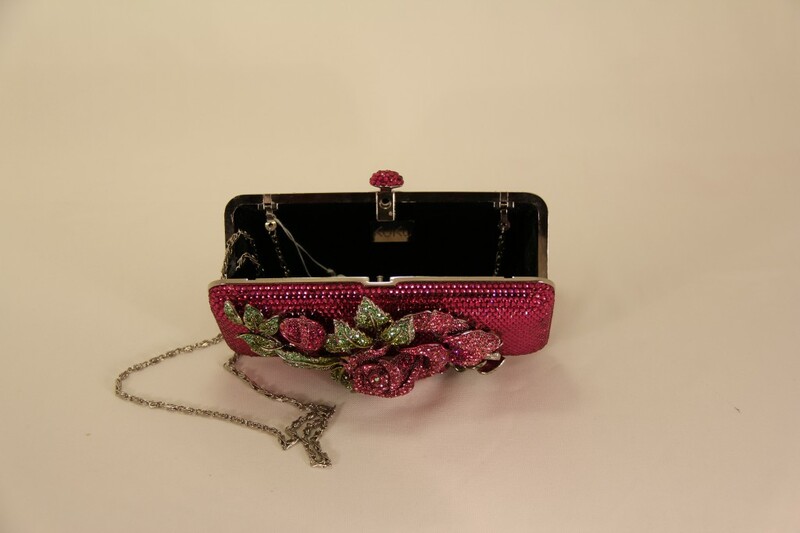 Shocking pink rectangle Swarovski evening bag has silver frame and chain. 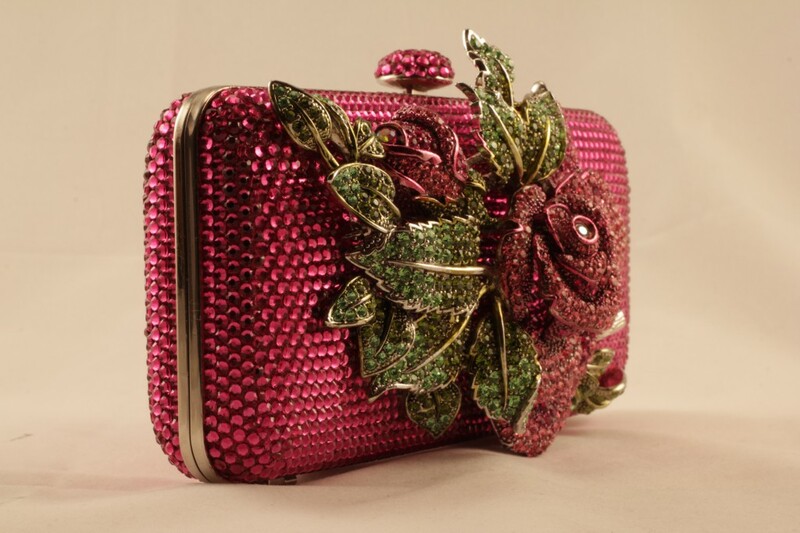 It has big rose with bud in matching shocking pink and light pink Swarovskies. 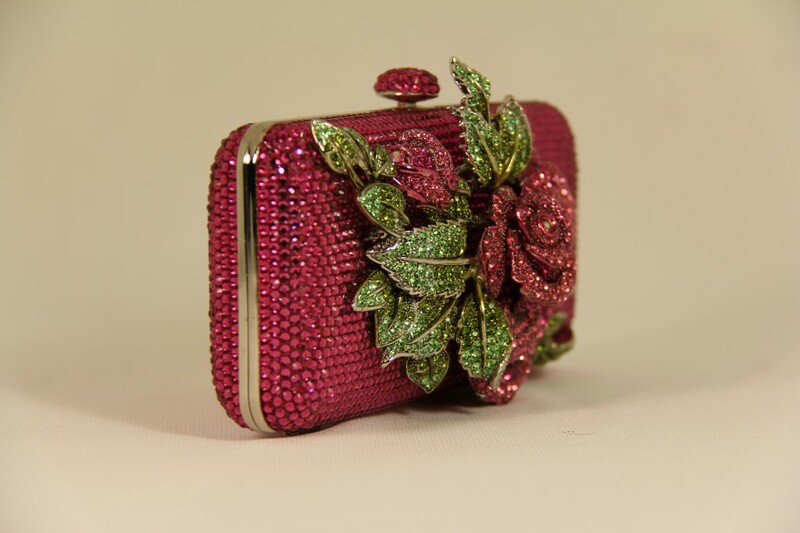 Rose has silver stem and a lot of light and dark green leaves. Top leaves are coming out just to give 3D effect. 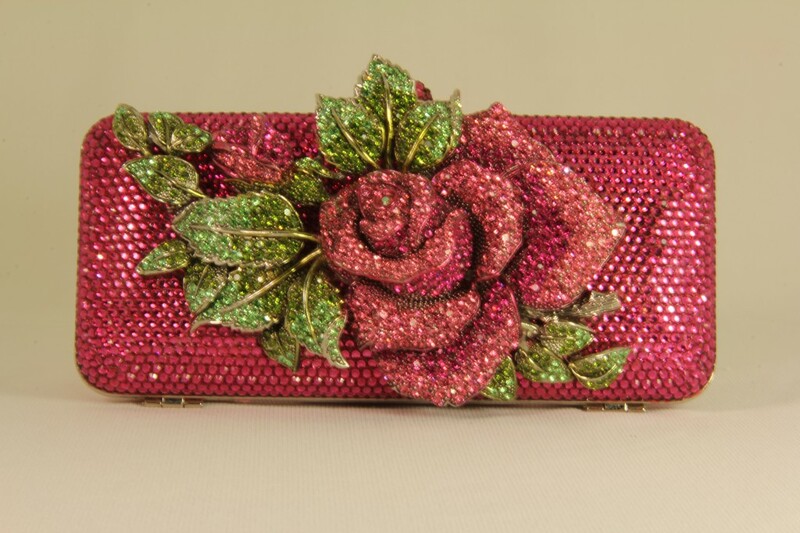 Rose is quite big which is covering ¾ of purse. 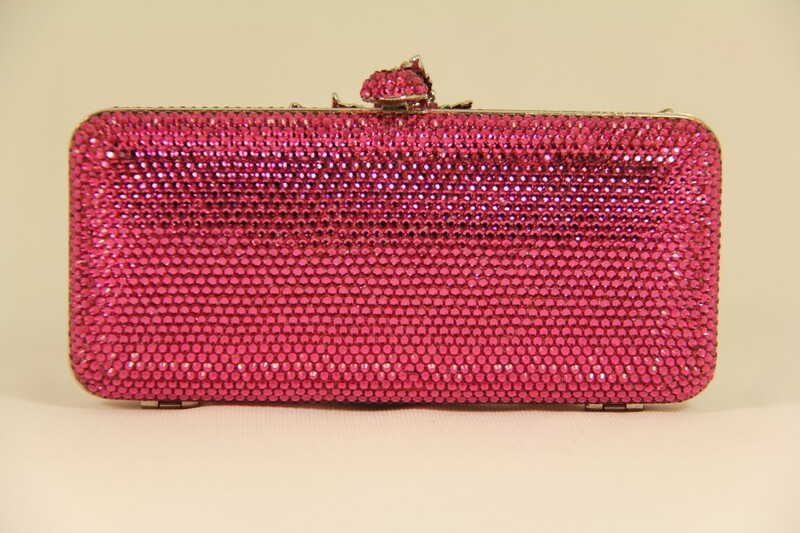 It has silver compact mirror with matching Swarovskies and also has pouch for mirror and purse.